Amla oil definitely differs from other oils for hair. Most of all because if you want to acquire amla oil – you can never get it in the pure from. As a hair oil treatment, amla is suitable only when it’s complemented with oily base. Since extract from the green plant is most commonly found in a loose form. The perfect companion for amla are following oils: almond, macadamia or olive. Due to the average particle size, from which they are built, these oils are suitable for most hair. 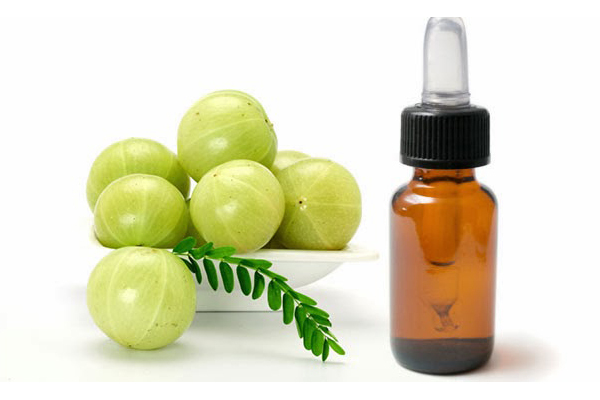 Amla oil is often enriched with other known and used in Indian medicine herbs. Usually these are bhringraj and brahmi, which are also known for their valuable conditioning properties for hair. 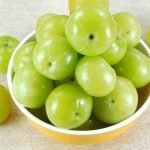 Women in India cannot imagine hair care without amla. However, we may be a bit driven away by the intense herbal scent of the oil, but with some determination you can get use to it. 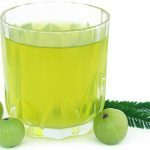 Why should you use amla oil? After all it works not only as a hair conditioner. Amla oil prevents and eliminates many diseases as well as hair and scalp related issues. -… your hair are falling out. 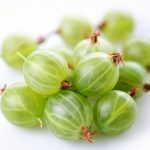 Amla strengthens hair bulbs and makes them better rooted in the follicles. -… you try to grow long hair. Amla oil impacts faster hair growth. -… your hair are matte and deprived of gloss. 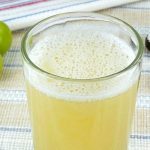 -… you deal with dandruff (amla not only will help you to get rid of dandruff, but also prevent the recurrence). -… your hair are weak and fine. -… you want to take care of the hair colour (amla oil darkens a bit hair colour). -… you want to regenerate hair after colourisation. -… you want to protect hair against unfavourable atmospheric factors. -… you often use blow dryer, curler or straightener, which weaken hair structure.